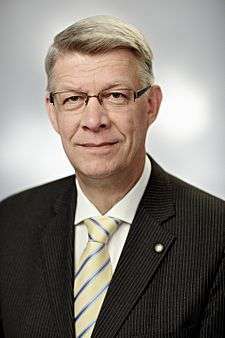 The President of Latvia (Latvian: Latvijas Valsts prezidents), is head of state and commander-in-chief of the National Armed Forces of the Republic of Latvia. The term of office is four years. Before 1997, it was three years. He or she may be elected any number of times, but not more than twice in a row. 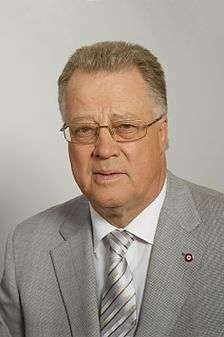 In the event of the vacancy in the office of the President, the Speaker of the Saeima assumes the duties of the President. 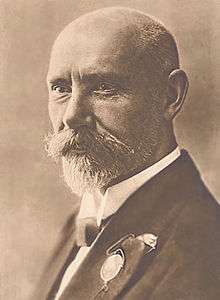 For example, after the death of Jānis Čakste the Speaker of the Saeima, Pauls Kalniņš, was acting president briefly in 1927, before a new President could be elected. 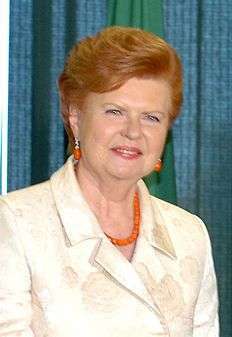 Unlike his Estonian counterpart, the Latvian president's role is not entirely ceremonial. 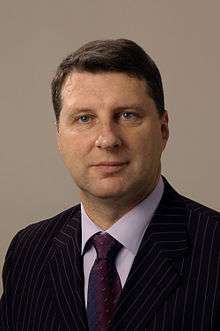 However, he is not as powerful as the President of Lithuania. 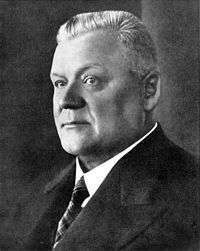 The official Latvian term Valsts prezidents literally means 'State President'. 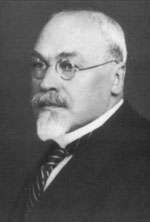 ↑ Upon Latvian independence on 17 December 1918, Jānis Čakste was head of state as Chairman of Tautas padome (1918–20) and Speaker of the Constitutional Assembly (1920–22), until he was elected President by the first Saeima on 14 November 1922. 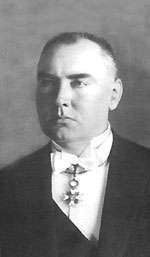 ↑ Upon Čakste's death, Speaker of the Saeima Pauls Kalniņš was acting president from 14 March 1927 to 8 April 1927. 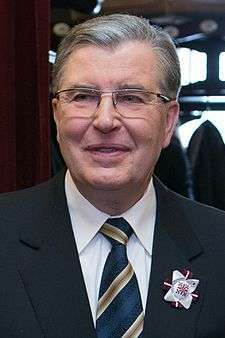 ↑ After the restoration of Latvian independence, speaker of the Latvian parliament Anatolijs Gorbunovs was acting president from 21 August 1991 to 8 July 1993. 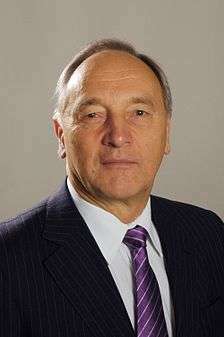 ↑ Bērziņš is not a member of parties forming the Union of Greens and Farmers, however he ran for the Saeima from their list and was a member of their parliamentary group at the time of his election. 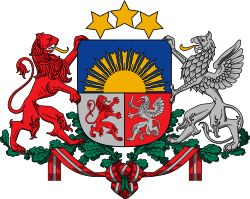 ↑ "President of Latvia by Baltic Legal; Part of Constitution - The president". Baltic Legal. Retrieved 2013-03-14.